Take the A7 road south from Edinburgh central (off Princes Street) for several miles. 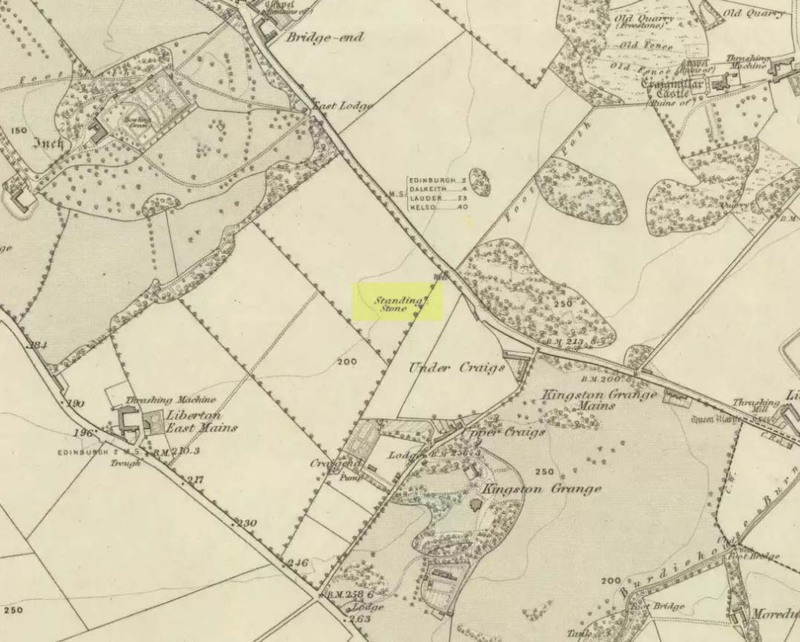 It becomes known as the Old Dalkeith Road eventually, just as it passes the huge wooded ground of Craigmillar Castle on your left (east) and the Inch estate on your right. Walk along here, keeping your eyes peeled for the small path that takes you onto Ravenswood Avenue. 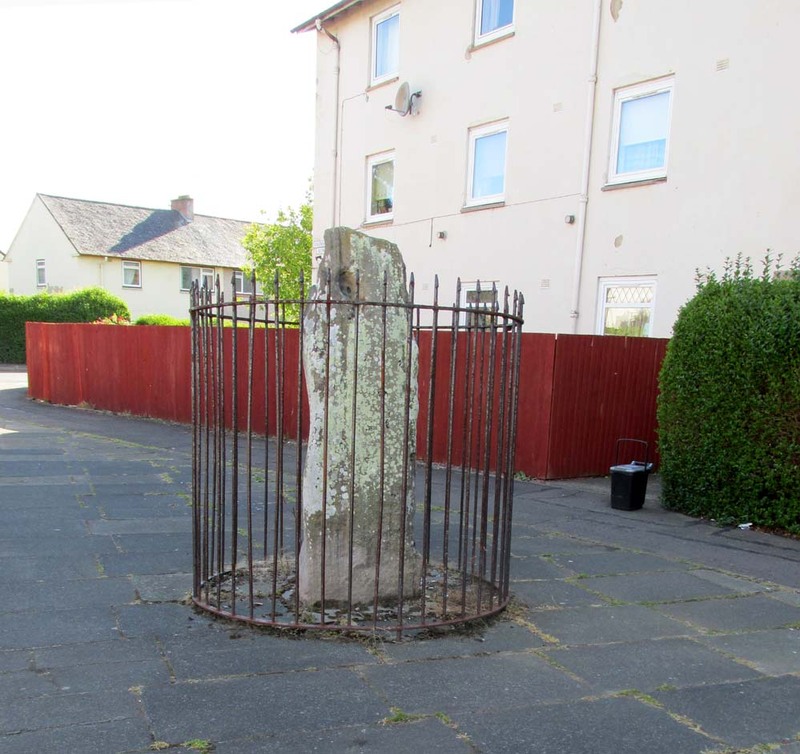 Barely 30-40 yards from the main A7 road, the standing stone is there surrounded by railings. The monolith was included in Adam McLean’s (1977) megalithic survey of the area, where he rightly said how the iron fence that surrounds the stone destroys any atmosphere that might once be had here. Still, at least it’s still standing and is worth checking out if you’re in the area. An old footpath that runs dead straight from Craigmillar Castle towards the stone was long ago said to be the pathway taken by the ghost of a white lady. In days prior to the housing estate being built, local folk had annual bonfires here between Samhain (Halloween) and Guy Fawkes Night (Oct 31 – Nov 5). McLean, Adam, The Standing Stones of the Lothians, Megalithic Research Publications: Edinburgh 1977. 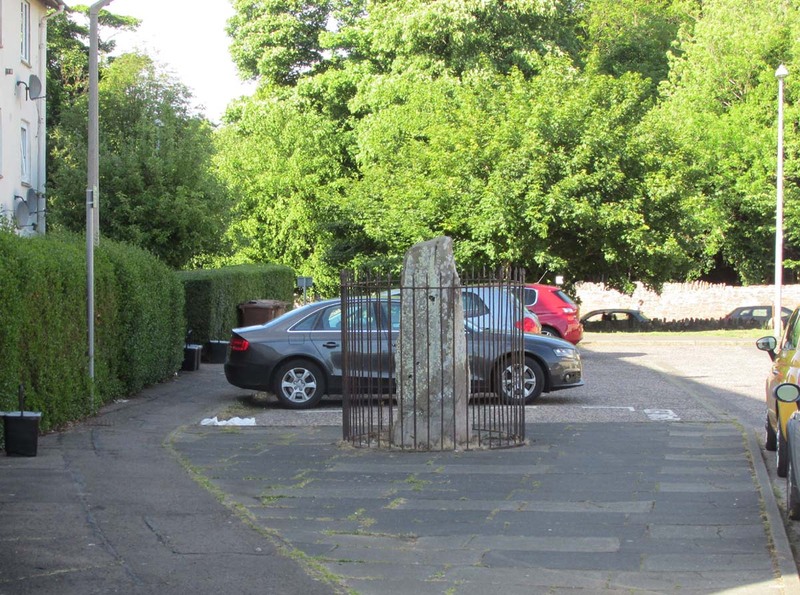 This entry was posted in Midlothian, Scotland, Standing Stones and tagged antiquarian, antiquities, Archaeology, Bronze Age, Craigmillar, Edinburgh, folklore, ghosts, heritage, Liberton, megalithic, Megaliths, monoliths, neolithic, prehistoric sites, sacred sites, Scotland, Standing Stones. Bookmark the permalink.